This Companion Animal Care directory is presented to help people seeking reliable resources, tips, and information for companion animals. 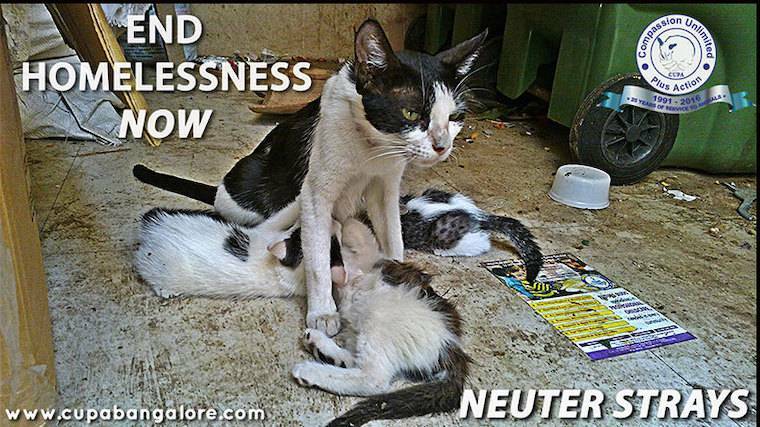 Caring for cats in India is challenging. To begin with, having cats as companion animals is a relatively new concept. As a result, there is a great need to educate the population about how to care for cats. Also, there are few veterinarians who know how to treat cats or perform spay and neuter. Eileen Weintraub, founder of Help Animals India, a nonprofit organization based in Seattle, says. "If you travel to India, you'll see many suffering and stray cats in the large cities with few organizations to help them. Cats are forced to survive very hostile conditions and are victims of extreme weather, including cyclones and monsoon, poisoning, vehicle accidents and attacks by dogs and monkeys. In rural areas cats lead a more natural life but with almost no help from humans. Further people are superstitious towards cats. They think they are unlucky so it is hard to get community support." For cats that cannot be adopted, Help Animals India also sponsors two cat shelters that house over 300 cats. Help Animals India also contributes to training camps for veterinarians to learn cat spay/neuter and cat care - not taught in Indian vet schools. Help Animals India raises funds to support the emerging animal welfare organizations India and purchase supplies to help rescue and rehabilitate street cats.